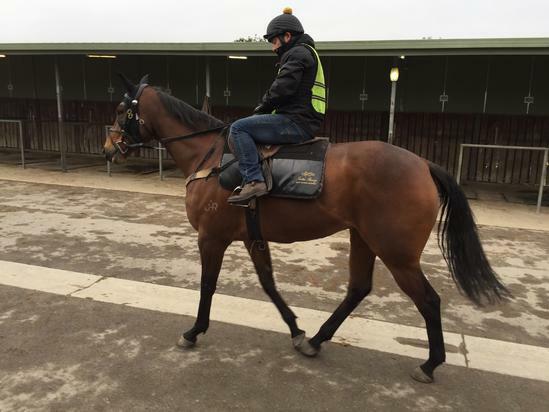 Plot The Course is back in work and not far away from a trial after an injury enforced lay off. The talented galloper in human terms badly rolled his ankle upon pulling up after trackwork back in April resulting in a fracture in his hind fetlock joint. Thanks to the surgical team at Bendigo Equine Hospital and a patient rehabilitation period Plot The Course has recovered remarkably well. The prognosis for horses that have this type of surgery is excellent as the risk is standing up after the the anaesthetic wears off post operation and whether or not the fracture heals. So the big horse has come through all those hurdles and we are confident that this injury will not stop him getting back to the form he showed last spring which saw himwinning during the Caulfield Cup Carnival. As always the horse will come first and he will not be rushed and placed carefully when ready to get back to the races. Thanks again to his loyal owners that have ensured Plot The Course has been given every opportunity to get back to the track.